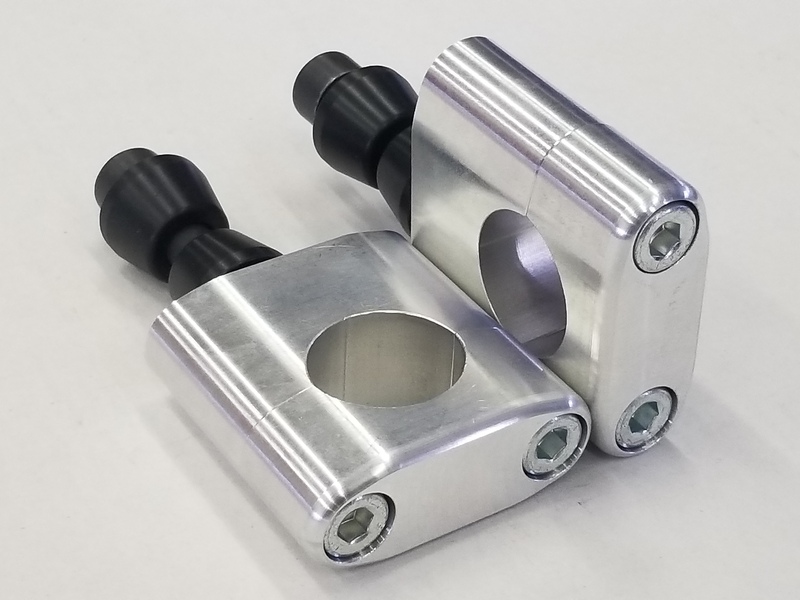 Designed for stock OEM Motocross frames. Each clamp is designed to have the correct fork width, number plate mount, brake line mount, and fender mounts for each manufacture. This allows you to mount all your stock parts. 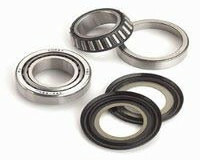 The range of offset is 16mm – 28mm. 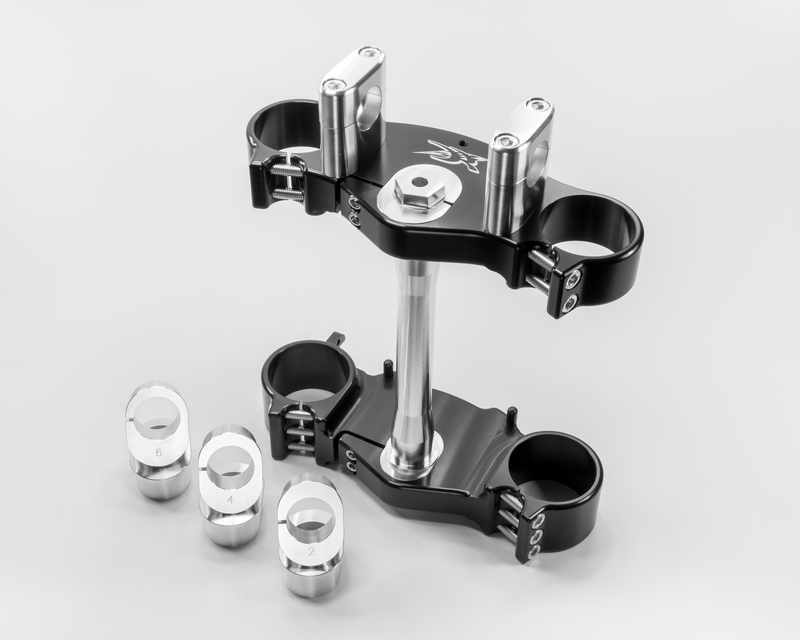 Your choice of 7/8 or 1 1/8 Bar Mounts with our 4 position mount system. Please Note: These bottoms are only available in 1 1/8. Reducers would need to be used for 7/8 Bars.